Our highly trained team has compiled useful garage door repair tips for you, find them below. The condition of your garage door would depend extensively on the times is inspected and maintained. The sooner you detect problematic garage door parts, the sooner you will fix them and, thus, you will have fewer problems in the future. When garage door repair is carried out in time, you would hardly have security issues and, therefore, it wouldn't hurt checking the mechanism once a month. 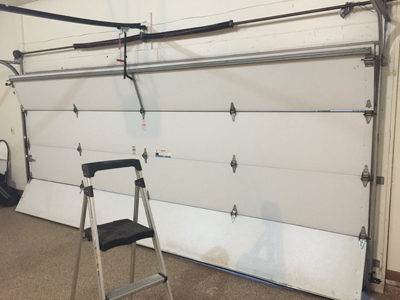 Garage door maintenance is vital for the excellent operation of the system but, sometimes, small issues may pop up out of nowhere due to dirty garage door parts. Keep in mind that the opener sensors may become dysfunctional when they are dusty and a small rock, debris and dirt in the tracks will create significant problems to the movement of the rollers and, thus, the door. Steel has always been one of the most durable materials and that's why it is used in most industries. 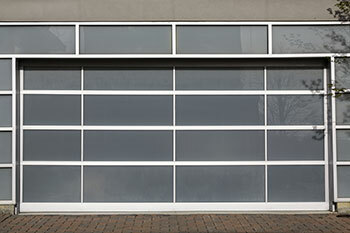 Its use for the manufacture of garage doors is prudent because it can make a difference in terms of strength. They can be painted in different colors and come out insulated, too. If you want to ensure higher resistance, Garage Door Repair Scottsdale suggests zinc coated steel. It is not sufficient to apply lubricant only to the central ones as all coils are subject to great friction and therefore to a high rate of wearing. Make sure that you apply lubricant to all sides of the coils as well. At the same time, the layer should be thin so as to avoid dirt accumulation. Use lubricant recommended by the product manufacturer. This is currently the industry standard. It means that the spring will break after performing 10,000 cycles, which include one opening and one closing. If you get a component with cycle life of 15,000 or 20,000, the initial investment will be higher, but replacement will be required less often. This will save you a great deal of hassle.